I don’t recall ever doing a product review on anything theme park related before, but I think now is a great time to start. 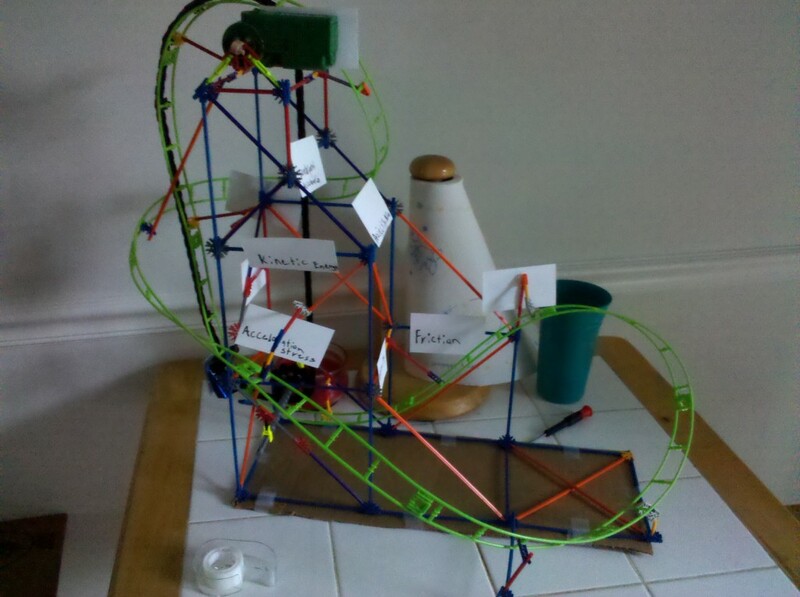 Christmas is approaching and Walmart had an awesome deal on one of their K’nex coaster kits. Originally, I purchased this for my step-son as a Christmas gift, but he started doing a science project on the physics of roller coasters. I gave it to him as an early gift and helped him assemble it. Let me just say that this is a cool little toy for$20, but it’s more of a hassle than it’s actually worth. My step son spent 3 hours assembling the supports for the ride and then we spent about 2 hours assembling the track and trying to “tweek” things to make it work correctly. The directions are extremely hard to follow. They have little to written descriptions of what is being assembled, just colored pictures. You’ve got to be extremely careful when you’re assembling each part so you don’t assemble anything backwards. You’ll spend a lot of time back tracking trying to figure out what you did wrong rather than moving forward. 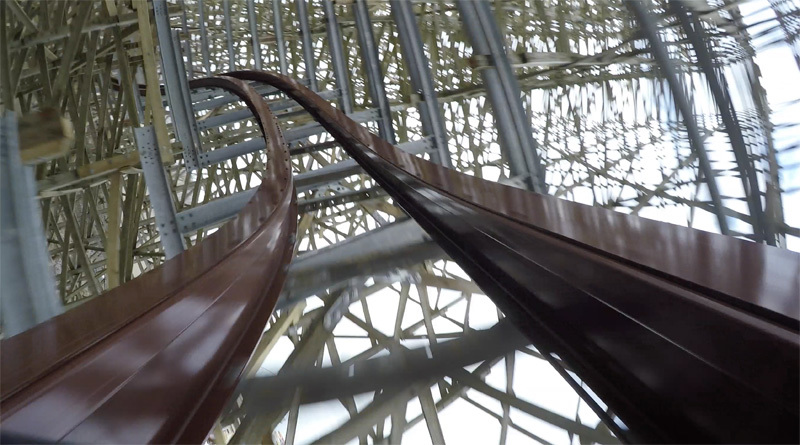 The track is also hard to assemble. I could never get the track to stay together the way they specified, so I modified it to twist and turn how I wanted it to. Other than it being complicated to put together, it’s well worth the fun in the end. It’s cool to watch once you get it together. Here’s a photo of the completed product (don’t mind those cards attached to it, that’s for my son’s project). It’s a cool product for a reasonable price, but it’s not worth pulling your hair out over. I’d recommend it for any coaster nerd that can’t afford a Coaster Dynamix set.